By using the GE Appliances Kitchen App, users can scan the barcode of the food they want to cook, and the app will send the microwave the exact cooking times and power levels for best cooking results. This will be a relief for those who are easily confused by the variety of power settings and cooking modes that feature on modern microwaves. The stainless steel GE Smart Countertop Microwave is rated at 900 watts and comes pre-programmed with over 3,000 frozen, refrigerated, and self-stable foods with more being added to the app all the time. The microwave is also Wi-Fi enabled and is compatible with Amazon’s Alexa virtual assistant, meaning that users can turn the microwave on and off, add extra time and change the microwave settings through voice commands. 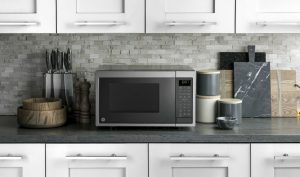 The GE Smart Countertop Microwave Oven is available in the United States now for $139 or $155 if bought with Amazon’s Echo Dot; it is not known when it will be available in the UK. With over a million cases of food poisoning reported in the UK each year, this could be the breakthrough the industry and consumers need to help them stay healthy. The paper labels monitor the levels of contaminates, antioxidants and free radicals and change colour when the food is no longer safe to eat. The team also hopes to develop labels that could identify potentially dangerous bacteria, such as salmonella and E. Coli. Team leader Professor Silvana Andreescu also stated that the sensors could be used for more than just food products, saying that they could be utilised in the cosmetics industry warning consumers when a products is no longer safe to use. 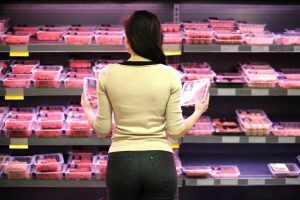 The industry has welcomed this new development in smart labels, which could help to combat food wastage in the UK. Recent figures from the Waste Resources Action Programme (wrap) state that the average household throws away over £700 worth of food each year, and estimates that around half of us throw away food that is still edible due to confusing use-by dates. The team at Clarkson University, New York are still in the testing phase of these sensors and hopes to get them to market in the near future. 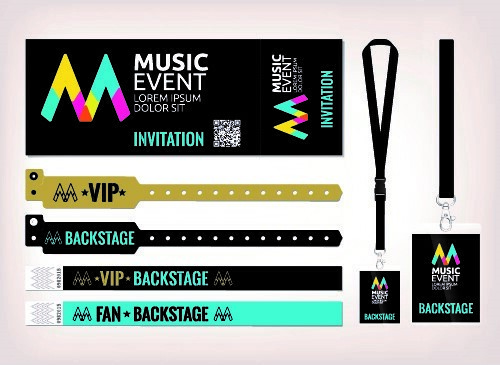 They’re the ideal size to be attached to wristbands, typically they go unnoticed and isn’t a problem when it comes to the overall comfort. The chips can also be used as a type of payment, at some festivals they enable you to create a digital wallet and permit you to make purchases. The fast reading chip simply allows you to tap and connect, just as like you do with contactless payments. Going from paper tickets, to e-tickets, to now being able to use your phone as a form of entry. We’ve come along way in the terms of technology moving forward. Most festivals nowadays use this form of method, and people seem to benefit well from it all. 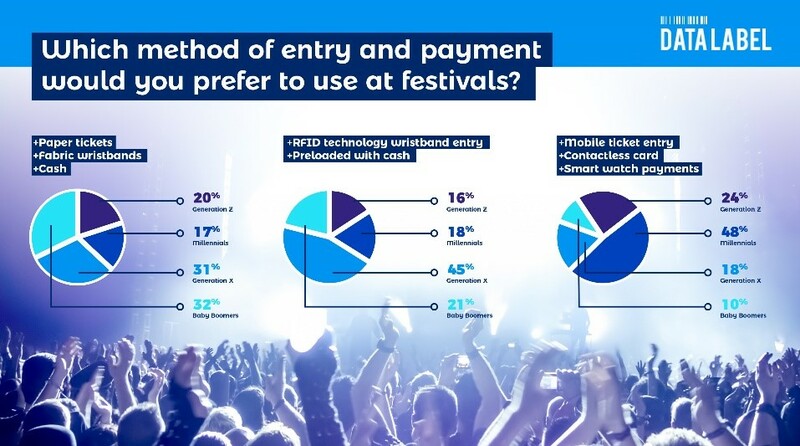 Looking into this further, we carried out a survey which asked people which form of payment method would they prefer to use at festivals? There’s also the security sides of things too, the device is able to identify each individual person upon entry. This is via ticket holders providing a photo for their identification. This will tackle fake ticket problems some festivals receive. We want to be able to reduce the number of fake tickets being sold, as of course it’s a crucial loss for festivals. Holographic concerts – Performances from past stars such as Michael Jackson have been reborn on stage for fans. Virtual tours – A simulated festival experience which gives people the opportunity to experience behind the scenes and areas where no one gets to go to. As you can see, our overall festival experience is becoming easier and easier, thanks to technology moving forward. The RFID chips enable faster ques, contactless payment options and a complete improvement on the security of tickets. Our void polyester labels are made with a special combination of coatings and laminates making it hard to remove but cannot be repositioned undetected. These double layered labels show the word void when they have been tampered with meaning that you can easily see when something is wrong. These types of labels are commonly used by manufacturers as warranty stickers, but can also be used for packaging or repaired by labels. Different from void polyester labels, tamper evident labels are made from vinyl and cannot be removed in on piece, rather it will split into many pieces making it evident that the piece was tampered with. Tamper evident labels are popular in the food industry for packaging so that consumers can spot that an item has been tampered with, but they also have applications for packaging, warranty stickers and company assets. Tagging an asset used to involve fixing a metal tag to a piece of equipment with the company details engraved on, but as technology and printing methods have grown we are now able to offer self-voiding security labels, making it much easier to tag your company assets. The main advantage of our self-voiding labels is that they can be applied to any surface without the need to drill any holes or punch any rivets. 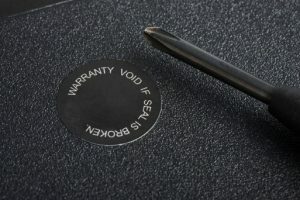 Self-voiding security labels can be customised to your specifications and when the seal is removed it cannot be resealed. If you would like to know more about our security labels and how we can help, call our experienced team on 01293 551520 or fill out our online enquiry form for a free quote. In March this year, CarbonAte began working closely with the World Wide Fund for Nature (WWF), which also launched its One Planet Plate scheme recently and aims to work with restaurants to put sustainability first when it comes to the dishes on their menus. 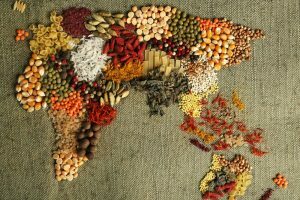 This collaboration has meant the continued development of the Food Calculator, which will allow individuals to calculate the environmental impact of certain ingredients. Would seeing climate labels on menus make you think twice about the food you eat at restaurants? Answer in the comments below. 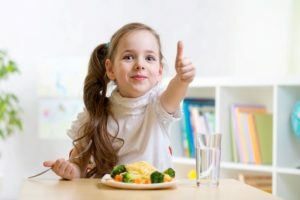 The proposal is party of the government’s plans to reduce child obesity, but retailers are voicing their concerns as it would present obstacles for the industry and could be complex to initiate. UKHospitality’s CEO, Kate Nichols said, “The out-of-home sector supports workable efforts to promote healthier eating habits, as demonstrated by the proactive actions already in reformulating menus to reduce calories and increase transparency and choice for customers. 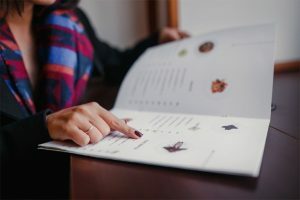 However, the introduction of mandatory menu calorie labelling would represent a significant burden for businesses, particularly smaller operators. UKHospitality also said that mandatory calorie labelling would hinder establishments from incorporating seasonal food on menus and special dishes to attract customers because of the extra cost involved. What do you think? Should calorie labelling on menus be mandatory? Leave your comments below. This new rule will come into force from 1st April 2020 and is designed to not deceive consumers and to synchronise the labelling of ingredient information throughout the member states. The European Commission said that the new rules would help to ensure a high level of transparency and provide EU consumers with clear information about the origin of food and ingredients sold in the EU. The new rules have been discussed for some time, but it is initially thought the labelling changes will be voluntary in the beginning, however, for brands wanting to use the new labelling system it would be mandatory to specify the origin of the main ingredient if it is different from the country of the food. There will also be a certain amount of flexibility to the new rules to take into account the different methods of food processing adopted throughout the EU. Earlier this year, the UK food industry was told that it would have to with any forthcoming rules regarding origin labelling to continue a free trade agreement for food produce post-Brexit. Studies have shown that consumers buy products and services from brands and companies that align with their values and preferences, with many being willing to spend more on sustainable products and prioritising buying products and services from companies that they trust. 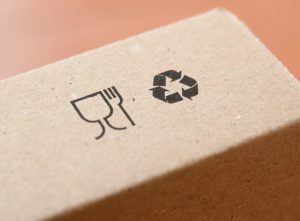 Consumer preferences and innovation is pushing sustainable packaging forward, especially as people are moving to brands that embrace environmental responsibility. Companies in turn are communicating these values through their products, with packaging fast becoming one of the most important mediums for communicating these practises and providing information to consumers about the products they are buying. It is good practice to be transparent with your information on your packaging, because where you source materials and ingredients for your products is a big selling point, especially if they are from sustainable sources. Being transparent is also key to building brand loyalty, and can separate your products from your competitors. There is no one-size-fit-all when it comes to packaging, but with the proper consumer insights and by targeting your audience you can choose the best attributes for your unique selling points while gain customers and brand loyalty. eBay has updated its iOS and Android apps to let sellers scan a product barcode which automatically fills out the items details in a matter of seconds. Simply scan the items barcode on the box and state the condition of the item. Once eBay identifies the product it automatically fills in the necessary details like item description and stock pictures, and even suggests a starting price based on much the product has sold for before on the platform. If you don’t have the barcode, don’t worry, you can also use the search box to search for the product manually. All of the item details, pictures and price can still be edited if you are not happy with eBay’s suggestions. According to eBay, this new setting is aimed at new seller wanting to try out the platform, but can also be a great service for power seller that are listing hundreds of different items on their eBay shops. Amazon already offers a similar system to its FBA sellers, but eBay’s adoption of barcode technology will certainly be a welcome sight for new and experienced seller alike. Are you an eBay seller or are looking at selling items on the platform? Would you use this new feature? Let us know in the comments below. Over recent years there has been a growing concern about the impact that plastic has on the oceans and environment, and plastic pollution is now so bad that it has been discovered in tap water, fish and even sea salt. It is not known what the impact of this plastic residue has on humans, but it is causing havoc for marine life and wildlife. Iceland will be intruding the ‘trust mark’ labelling system on their relevant own-label products from May onwards and has pledged that its whole range will be free of single-use plastic by 2023. 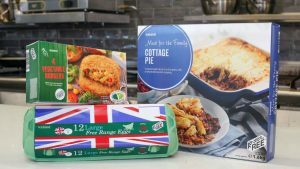 Iceland’s managing director, Richard Walker, said: “With the grocery retail sector accounting for more than 40% of plastic packaging in the UK, it’s high time that Britain’s supermarkets came together to take a lead on this issue.